We all need to take an opportunity for a break here and there and hopefully that means time for a holiday. 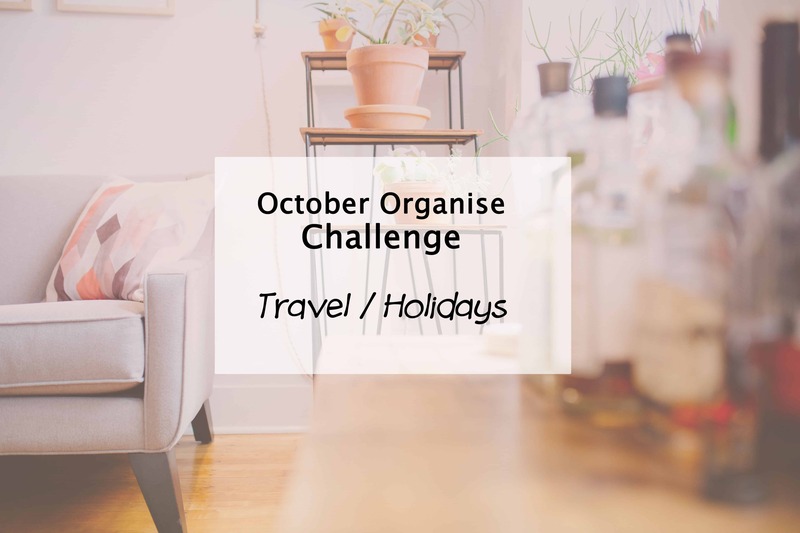 This month for the Simplify My Life challenge we look at how we can best organise travel and holidays, to ensure we can plan ahead with timing, budgeting and of course making sure we don’t forget a thing when the time rolls around. Here in Australia, the average full time employee gets 20 annual leave days per year. Adding in the weekends, that is essentially a month off each year to do as you please. For some this may mean simply taking a week off here and there to relax at home and catch up on things that need doing, but for many, this is a great opportunity to jump on a plane or in the car and head for a holiday. And the best holidays is an organised holiday! To organise travel and holidays well, there are a few areas that need considering – what you want to do with your holidays and the budget you want to spend. A great method is to plan as far ahead as you can, such as setting a rough idea of when you want to travel and to where at the start of each calendar year. This way you can set the wheels in motion towards making your travel plans a reality. Depending on where and what your holiday plans are, sometimes it pays to think even further ahead. This is especially the case when planning an overseas trip, with early bird flights and packages being released well in advance. Once you work out the where, what, when side of things, it is time to organise travel budgets. This means deciding how much you can afford to spend on your trip and then working out how much everything you want to do will cost. You should also consider fitting this in with your everyday family budget plans. That’s a lot to consider so to make your next holiday planning a little easier, I have put together a simple budget printable to help you out. Simply click the download link below and print it off so you are ready to roll with your travel planning. Now don’t forget to lock those annual leave days in… and if you need inspiration for your next trip or tips for family travel, check out Four Around The World – our new travel blog. This task is part of the Simplify My Life challenge – simplifying, organising and decluttering for a complete 2015 life overhaul. Whether you are coming to the party late or have been playing along the whole time, I would love to hear your progress. How far ahead do you organise travel for your family? Big trips, it’s far less stress to be organised but smaller ones can be fun to wing it! Most of our holidays are driving holidays, so we have to be organised and make sure the car is serviced, has suitable tyres etc. Ahh yes, it has been a while since we did a big road trip. I’m not a good long distance car traveller. Tassie was our last but so much to consider with car prep & packing. Snacks! This is such a great challenge! Will you be doing this again next year?